From I-405, take Exit 23, SR-522 Eastbound toward Woodinville and Monroe. Take the second exit and turn right onto NE 195th Street. Take an immediate right onto Woodinville-Snohomish Road NE. Veer right at first stoplight onto NE 177th PL. Take an immediate right in the office park. BTL Engineering is on the right. 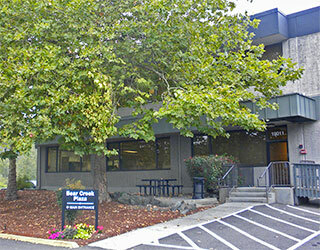 Our building is a two-story office building. We are located on the first floor facing the freeway.